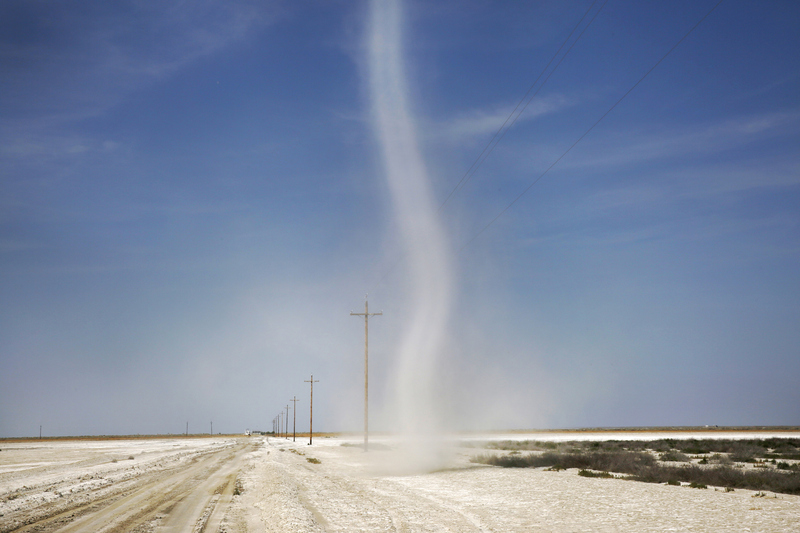 A dust devil makes its way across hot land made white from dried minerals as a result of the natural lake-bottom buildup and evaporation process April 10, 2015 near Kings County, Calif. The land is situated in part of the San Joaquin Valley that used to contain the Tulare Lake, the largest freshwater lake in the western half of the continental United States. The lake was dried up by the year 1900 due to emerging agriculture in the region.